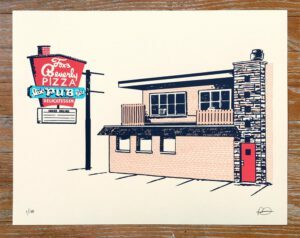 This past weekend, Old Style and the Empty Bottle’s third annual Chicago Pizza Summit brought Chicagoans together to celebrate three of the city’s favorite things: beer, live music, and stuffing your face with pizza. 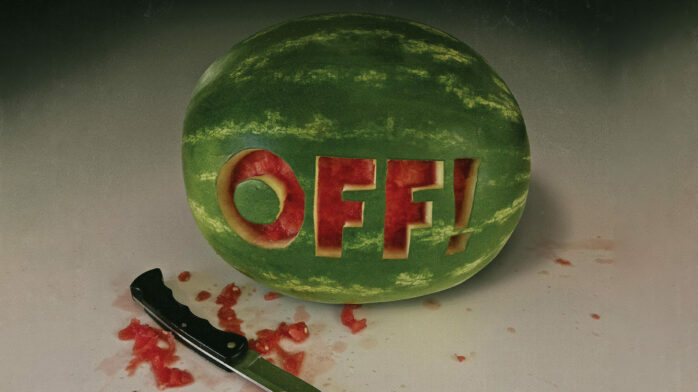 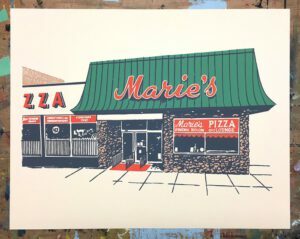 Along with a performance by Twin Peaks and hosting duties handled by local rapper ShowYouSuck (who’s apparently still recovering), the event featured a gallery of pizza-related art by poster artist (and Monsters of Ink subject) Ryan Duggan. 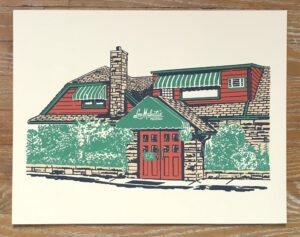 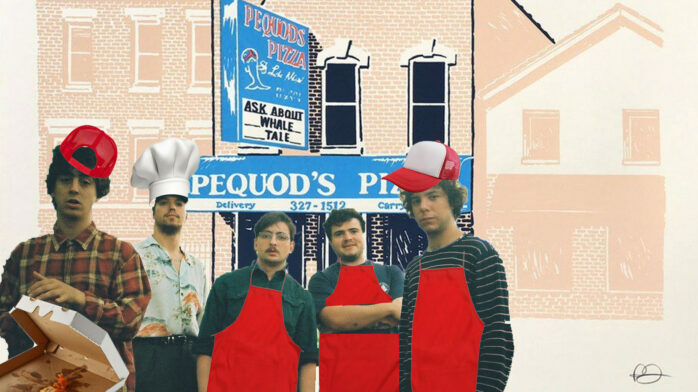 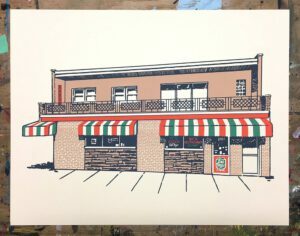 For the event, Duggan produced a series of portraits of iconic Chicago pizzerias, from cracker crust gods Vito & Nick’s to deep dish landmark Lou Malnati’s. 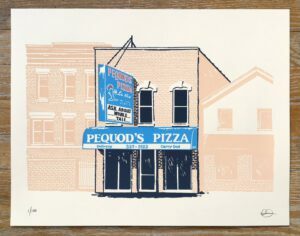 Like a lot of Duggan’s work, the posters capture the quirks that define Chicago’s unique architectural identity in the parts of the city the boat tours don’t touch. 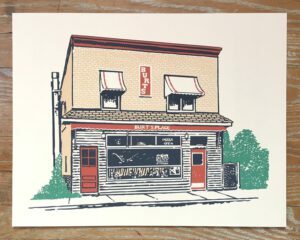 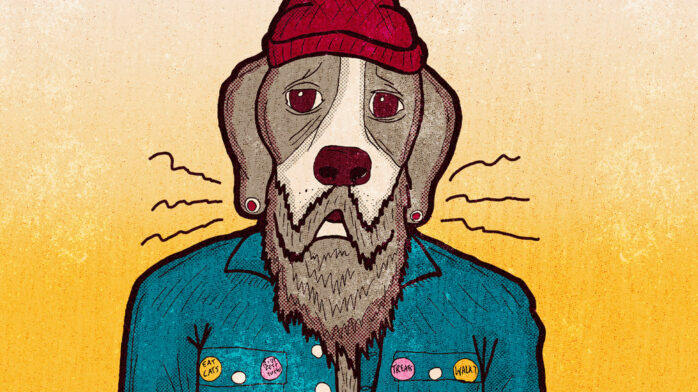 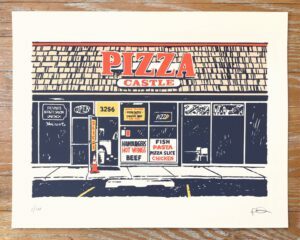 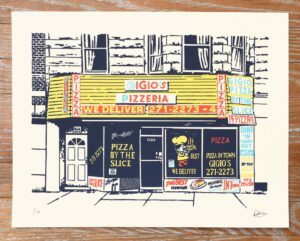 If you didn’t make it out to the Pizza Summit this time around, or if you did and got too distracted by all the pizza and beer to remember to pick one up, Duggan’s got some of his pizzeria series posters (pictured below) available on his webstore now.